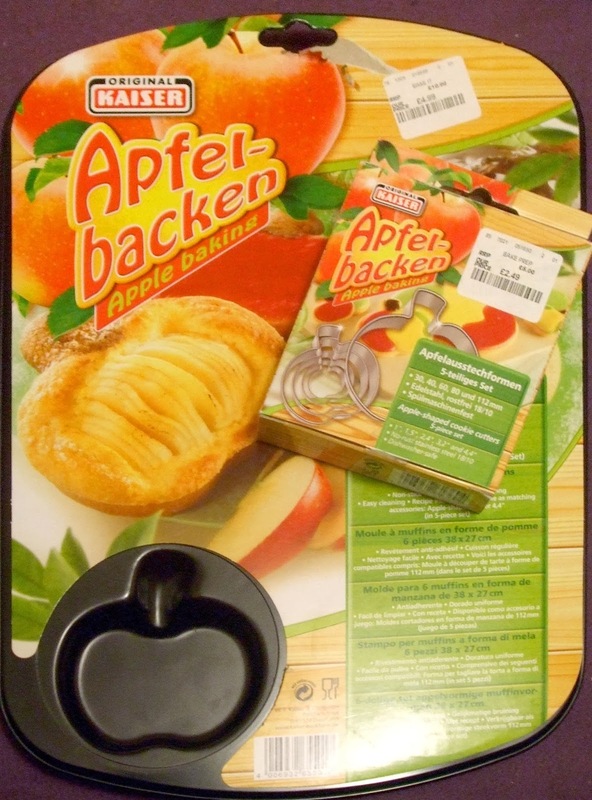 It was my birthday recently and I popped into TK Max for a scarf as a present/ treat for myself, but I went to the household section first and found a baking tray with apple shapes and a matching set of apple cutters and they were half price :) so I bought them instead of the scarf. One problem with the matching cutters was only one cutter (there are 5 in the pack) fit the tray. This matching cutter cut the bottom pastry shape for the pie, I had to adjust a smaller shaped cutter for the lids to fit. 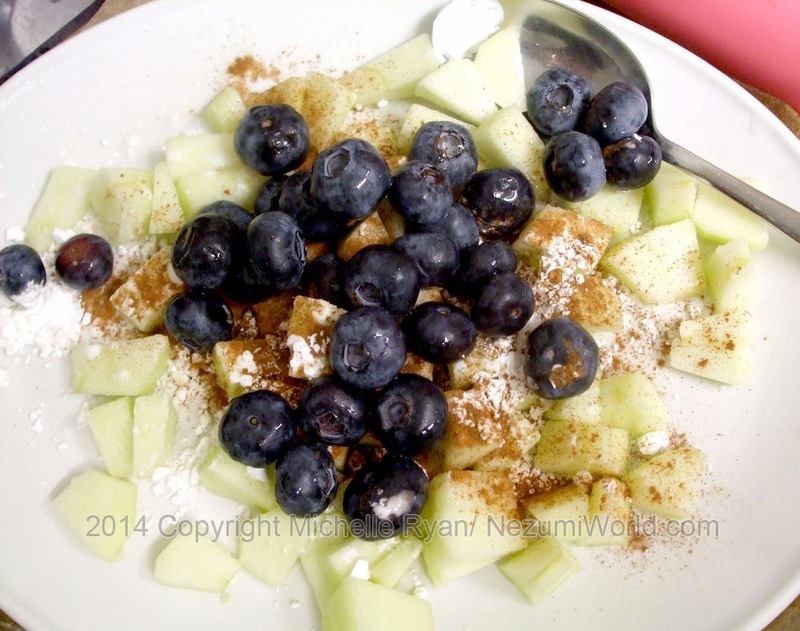 Peel and dice the apple and put in a bowl with the blueberries, sugar and cinnamon, mix to together. 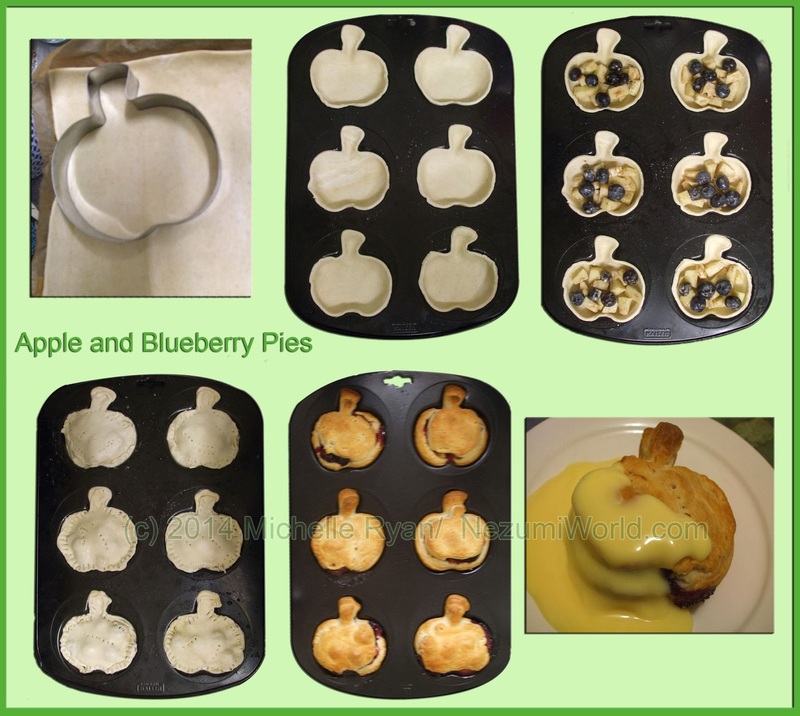 Cut out pastry shapes and put into baking tray, divide up the apple mixture and add.